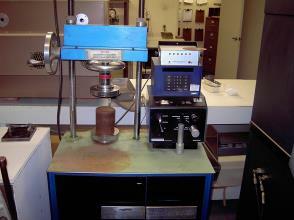 GeoSoils, Inc. strives for the highest level of quality in laboratory testing. 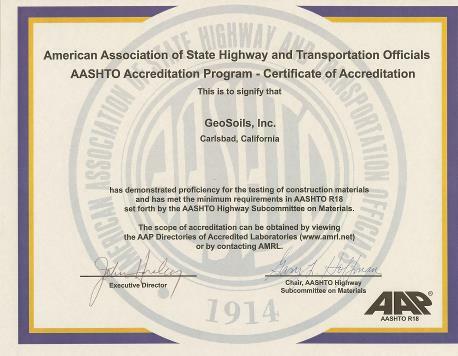 As part of our commitment to quality, the Gleisoil's, Inc. Carlsbad laboratory is accredited by AASHTO for geotechnical and construction materials testing. The accreditation includes bi-annual assessments and participation in the AMRL and CCR: reference sample programs. See http://www.arml.net for the scope. The laboratory is also a Division of State Architects (DSA), and City of San Diego qualified laboratory. 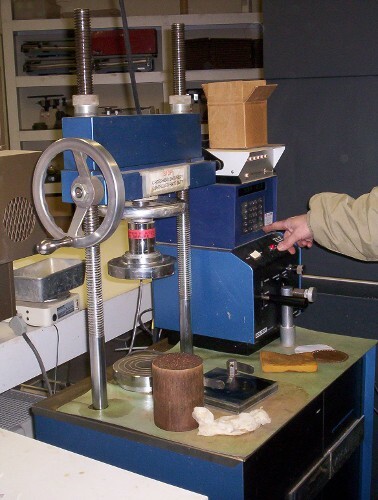 The senior laboratory technician is NICET and ACI certified and is an ASQ Certified Quality Technician in addition to having 25 years of experience in soil and concrete testing.